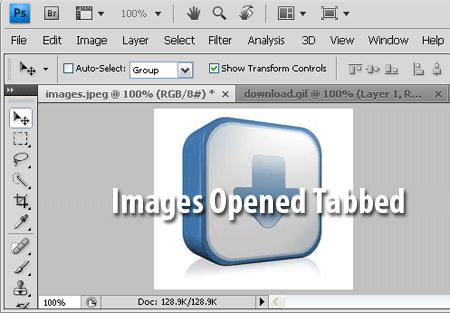 Adobe Photoshop CS4 – How to Open Files in a New Window: CS4 ships with a new feature called “Tabbed Document Windows” (works like the tabbed browsing many browsers use). However, some people (myself included) do not like this new feature. 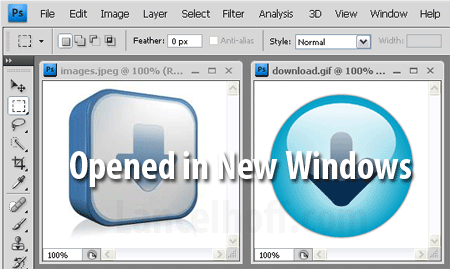 In the following simple solution, I’ll show you how to mimic the old Photoshop behavior of opening each image in a new window. I am unsure of what the Photoshop development team was thinking when they implemented this Tabbed Document Windows feature. Tabbed images make it tough to copy features from one image to another, as both images are not viewable in the same window, at the same time. That’s all there is to it. 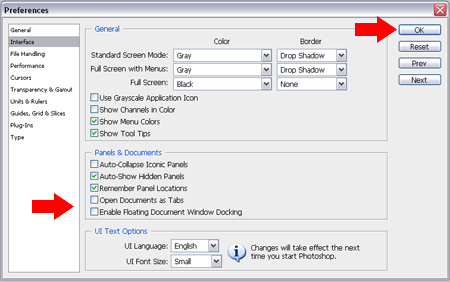 Now the default behavior of Adobe Photoshop CS4 should be to open your images in a new window instead of tabbed.